Welcome to my web site "Translate-to-Czech". I provide English to Czech translations. 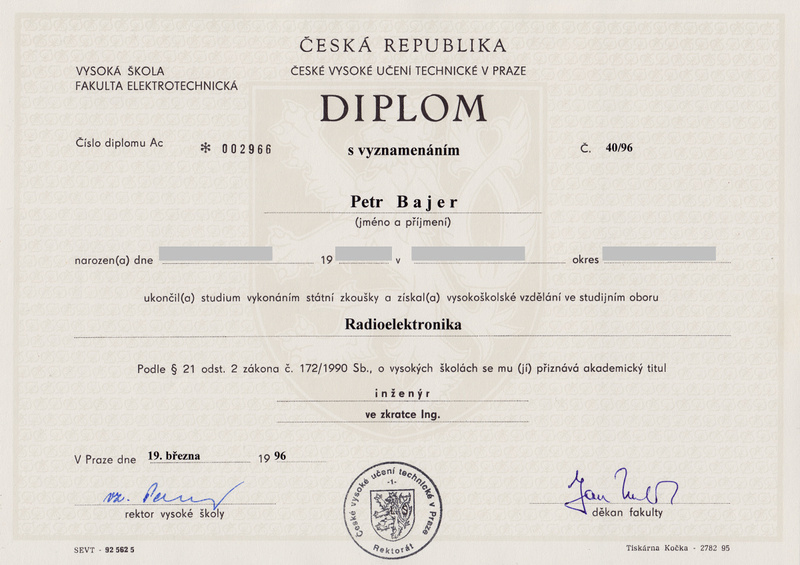 I am a native Czech speaker and I have a certificate of my knowledge of English at C2 level (max. 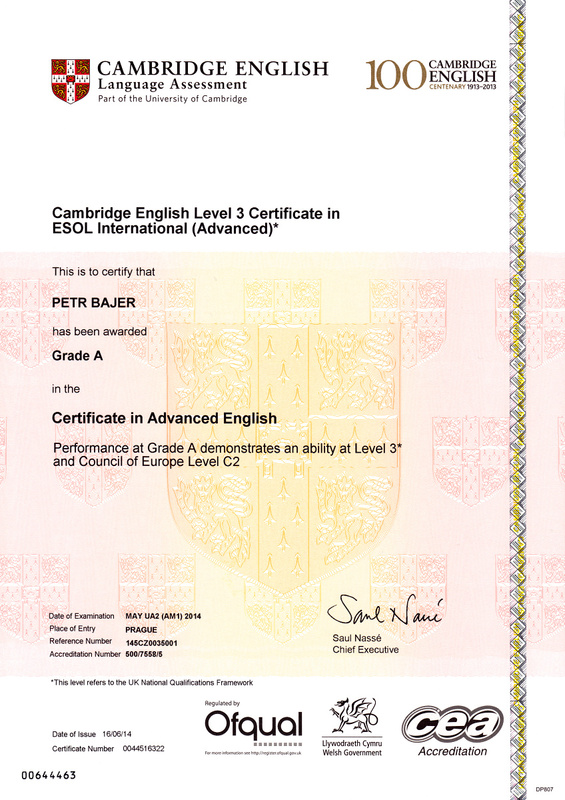 CEFR level available). I translate general texts as well as technical texts in various fields. I can also provide translation editing and proofreading. I have a university degree and experience in the fields of computers and electronics and more than twenty years of translation experience. I am a member of the Czech Union of Interpreters and Translators. I enjoy translating and I started doing so as a child. I can translate all kinds of text, web sites, user guides and product manuals, software applications and help files, product leaflets, brochures, marketing materials, books, comic books, newspaper and magazine articles, movie subtitles etc. If you want, you can have a look at some samples. If you would like to use my services, please do not hesitate to contact me. I look forward to working with you.